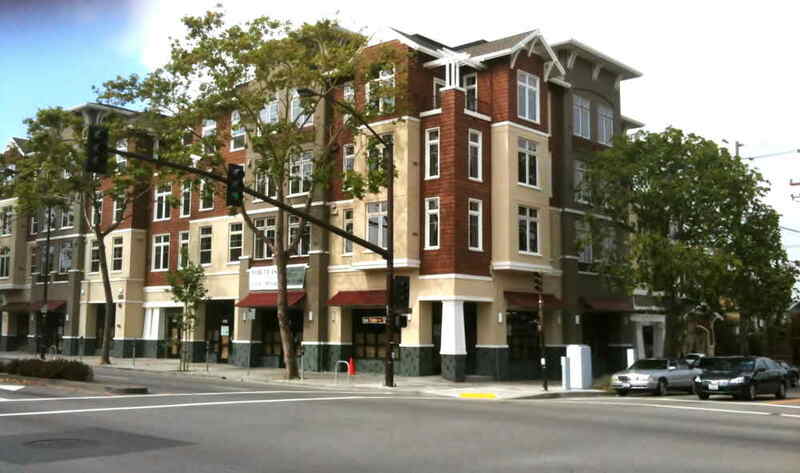 Delaware Court is a four story, 51 unit, mixed-use project in Berkeley, California. In addition to the 51 units above the podium, this .46 acre site incorporates 8,500 square feet of retail and parking for 50 cars on three tier parking lifts. Delaware Court is to be the first new building on San Pablo Avenue in what will be the revitalization of the West Berkeley/ San Pablo Avenue corridor. Delaware Court makes the transition from a commercial street to a residential neighborhood by borrowing materials and details from the Bungalow style architecture of the adjacent homes and incorporating them into the elevations of the building. Significant stepping of the elevations and setbacks along Delaware add to the transition from commercial to the single family homes. Delaware Court was developed by Said Adeli.